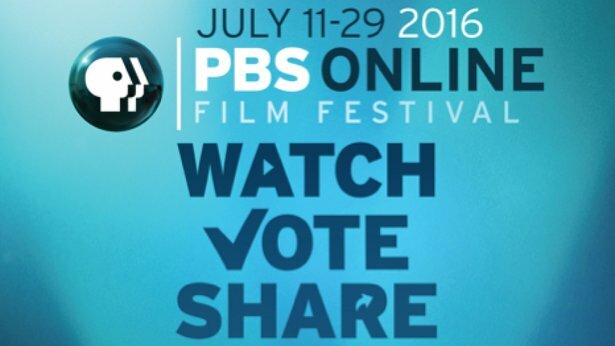 ARLINGTON, VA; June 29, 2016 – Today, PBS announced that the PBS Online Film Festival will return for a fifth year on July 11-29, 2016, and will feature 25 short-form independent films from a broad spectrum of public media stations and partners. This year’s lineup features films from the Center for Asian American Media (CAAM), Independent Lens, Latino Public Broadcasting (LPB), National Association of Latino Independent Producers (NALIP), National Black Programming Consortium (NBPC), Pacific Islanders in Communications (PIC), POV, StoryCorps and Vision Maker Media, as well as PBS local member stations Alaska Public Media, CET/ThinkTV (Cincinnati/Dayton),KLRU-TV (Austin), KQED (San Francisco), KTTZ (Texas Tech),Louisiana Public Broadcasting, Twin Cities Public Television, UNC-TV and WPBT (South Florida). makes him who he is today.